A couple of more good ones on eMusic. Just a quick note to point out two new releases of signficance on eMu. 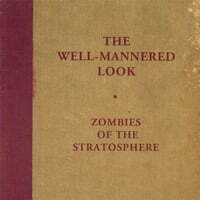 The first is The Well-Mannered Look from Zombies of the Stratosphere, which we raved about a few weeks back. The other is the latest from the Rainbow Quartz factory, The Get Quick's See You In The Crossfire, their followup to 2005's How The Story Goes. Germany isn't exactly known as a hotbed of power pop in the way that say, Spain or Australia is. But after fine 2006 releases from artists like Monkeeman and Spyderbaby, and this new disc from Arne Herrmann, who goes by the moniker Sixty-One, maybe it's time to reconsider. Although Herrmann hails from Germany, the sound here is more Swedish, in the vein of poppers like The Merrymakers and (more recently) The Tangerines - mostly mid-tempo, very melodic, a hit of jangle, and earnest-sounding vocals. "It's True" and "Why" are classic examples of this sound, while "We" and "Feel It" bear more of a 60s influence. Other highlights include the ballad "By Now", which does sound a lot like Spyderbaby, and the uptempo "Oneday". Nick Lowe-At My Age. It's been a while since Nick Lowe could really be called "power pop", and his latest effort, appropriately titled, is more of the Nick The Crooner we've heard from this decade. Still worth checking out, though. Shane Nicholson-Faith and Science. The sophomore effort from the Neil Finn soundalike was #43 on our top 100 discs of last year, and that was as an Australia-only import. Apparently it's now getting a deserved US release, and makes its bow on eMusic so the wait is over for those who wanted to get it reasonably priced. The Holy Fields-The Holy Fields EP. This one is still on the Not Lame front page (as it hasn't been updated in two weeks now), and I can definitely see it on my year-end EP list. "Straight ahead pop power with tasty melodies and hot energy, sweat, sincerity, and a genuine sense of excitement seem to surround every song here" sez Bruce, and I wholeheartedly agree. UPDATE (5/25): The Shane Nicholson disc is not showing up now on the site. Not sure what the story is. If there's anyone in the power pop community you can count on to consistently deliver the goods, it's Jeff Shelton. From a great run with the Spinning Jennies to his current band, The Well Wishers, you know before evening listening to the album that it's going to be good. 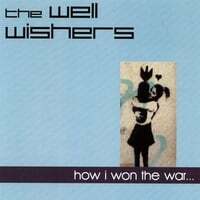 And the Well Wishers' latest, How I Won The War, is no exception to this rule; it's more of the Posies-meet-The-Shoes-with-a-modern-twist sound that propelled their previous release, Under The Arrows, to #5 in my best of 2005 list. However, there is a slightly darker, less sunny feel to this disc, as it draws upon some Smiths/Cure influences, and the unbilled cover of The Chameleons' "Nostalgia" that closes the disc makes the point clear; opener "Grey Skies Black" trades the Wishers' normal jangle for more of an 80s britpop sound as well, yet remains true to their melodic vision. But there are still plenty of what might be called "classic" Well Wishers tracks here as well, especially "Seashells", "I'm In Love (Slight Return)" and "Merilee", and tracks such as "The Optimist" and "It's True What They Say About Girl" up the rock quotient a bit. All in all, Shelton has done a masterful job of making a great Well Wishers record without making a carbon copy of Under The Arrows in the process. The Contrast-Underground Ghosts. The latest (5th album, I think) from these Rainbow Quartz stalwarts, who have become big favorites of Little Steven and his Underground Garage, with their 60s garage-new wave-power pop sound (i.e., the Rainbow Quartz sound). Brandon Schott-Golden State. If a Joe Pernice-Elliott Smith-Jon Brion hybrid is something you've dreamed about creating in a lab somewhere, put down the smock and grab this disc. This is billed as an "advance" on eMu, with a supposed CD release date of July 31, so you can be the first one on your block to experience its sonic joy. Peachfuzz-Catch Your Snap. Great archetypal power pop in the vein of The Lolas, Velvet Crush and Splitsville, with the occasional flashes of humor, punk and alternarock. In my book, Brad Jones is pretty much God. Who is Brad Jones, you ask? Maybe the greatest pop/rock producer working these days. He produced my #1 disc of last year, Bob Evans' Suburban Songbook. He produced my #3 disc of 2005, Josh Rouse's Nashville. He also produced David Mead's Tangerine, and oh yeah, some disc called Kontiki by this band called Cotton Mather. Not to mention his work in the Nashville power pop mafia with Bill Lloyd and others. So when Brad Jones produces a new album, I take notice, and he's lent his considerable talents to Tiny Telephone, the new disc by the Spanish band The Sunday Drivers. And while not another Kontiki or Suburban Songbook, it's a great listen nonetheless. The operative sound here is mid-tempo roots pop, somewhere in between Evans on Suburban Songbook and Josh Rouse. I also hear some Tom Petty as well as strong similarities to The Latebirds' Radio Insomnia (a Brad Jones album without Brad Jones if there ever was one). Things start off nicely with "Rainbows of Colours", which has a kind of dreamy feel to it (as might be expected from the title) and features a great minute or so instrumental outro that really makes the track. "She" is next, and if there ever was a more obvious lost Josh Rouse track out there, I'm not sure you'd be able to find it (melodically, it reminds me quite a bit of Rouse's best song ever, 1972's "Rise"). "Do It" is the first single off the album, and its driving guitar sound is where the Tom Petty comparisons come in. Other standouts include the languid "Paranoid", the poppy "Sing When You're Happy" (which doesn't wear out its welcome despite being 5:30 long), and the hand-clapping, foot-stomping "Day In Day Out". It hasn't been released in the USA yet (perhaps never, who knows? ), but it's a not-terribly-expensive-for-an-import $18 at the Amazon link below. 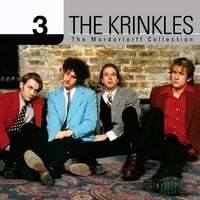 Straight out of Chicago, The Krinkles unleash their brand of high-energy rockin' power pop upon the world with 3: The Mordorlorff Collection (the title and album cover being a spoof of MCA's ubiquitous Millennium Collection series). What you get here is classic Cheap Trick-styled power pop along with a touch of glam and bubblegum thrown in for good measure, making for more than you might expect for this subgenre of power pop. "Dirty Girl" and "Stay With Me" start off the album, and they're a couple of great rocking tunes that not only call to mind the Trick, but contemporaries such as The Fags and Waltham. "Gimme Gimme" is where the bubblegum influence comes in, with the end result being a sort of Badfinger/Raspberries merger. "Sweet on You" has a more modern power pop sound that reminds me of Myracle Brah, while "I Want You" and "Friday Night" bear a Merseyside/British Invasion influence despite rocking more than their antecedents. CD (EP) of the Day, 5/10/07: Sono Oto-The Apple. Sono Oto isn't from Japan. 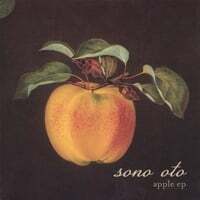 In fact, Sono Oto isn't even a person - it's a band from NYC headed by Mark Henry Phillips, and with the Apple EP, he's managed to craft a concept EP about - you guessed it - apples. And when you think of "apple" and pop music, the Beatles immediately spring to mind, which is an appropriate frame of reference as the Apple EP is piano-based pop that's most certainly Beatlesque. "Granny Smith" (interestingly once the original working title of The Beatles' "Love You To") leads off the disc, and it's flat out catchy-as-hell, kind of like Ben Folds without the snark and with more of an indie-pop orientation. "Empire" is cut from the same cloth (or from the same bunch, I should say), as is "Northern Spy". These three tracks will have your toes tapping. "Malus Domestica". Meanwhile, "Pink Lady" and "Honey Crisp" have a more bluesy, borderline psychedlic sound, and "Malus Domestica" is a straight-out piano ballad. * Steve Bertrand's Pain Is a Megaphone. If the name isn't ringing a bell, perhaps knowing that he was the lead singer of The Tories will. Sounds very good from the samples, although for some reason eMu has it classified under easy listening and jazz. * New Moon, the 2-CD release of Elliott Smith rarities from the mid-90s. * Fred's Sound Awake. This actually came out in 2005, but it's being billed as an advance of a May 22 release; I suppose it's being re-released on a label this time around. For those who missed it two years ago, here's what Bruce at Not Lame had to say: "Produced by Jellyfish member, Chris Manning(Roger`s brother), Fred will certainly appeal to many Jellyfish fans. While not all the material easily falls into `sounds just like Jellyfish vibe", there`s a few songs that sound like they walked off of "Bellybutton", in particular "Piscetarrius" and "Sound Awake". There`s a strong sunshine, almost bubblegummy feel of bands like The Association, some Squeeze, Spy Mob, Steely Dan, Wondermints and Raspberries." * Yet another Robert Pollard release, Silverfish Trivia. * And a 7-track rarities/demos EP from Jason Collett titled Prodigals. * The new Superdrag collection of odds and sods, Changin' Tires on the Road to Ruin. * The latest from Spanish American power poppers Mas Rapido, Pity Party. * And a couple from the Kelly's Heels catalog, Gone Off Pop and Bent Over Backwards. This one came out in 2005 to little fanfare; had I had this blog when it came out, I definitely would have touted it. As it is, it came up in random play a few minutes ago and I figured I'd give it a plug. 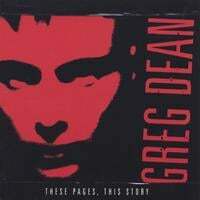 Greg Dean has both feet firmly planted in what might be called the "sophisticated adult pop" subgenre of power pop, and the artists that come to mind while listening are David Mead (circa Wherever You Are), Michael Penn, Jon Brion and the other usual suspects. The overall sound is brooding midtempo, but it's done extremely well. The true standouts are "Living Half Awake" and "This Side of Heaven", but also noteworthy are the two tracks that pick things up a bit, "Honey It's Good" and "Something Better Than This". His myspace doesn't have a lot to offer, so check out the CD Baby link below. 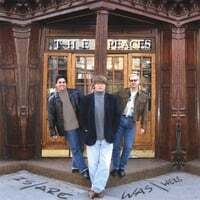 In keeping with yesterday's CD of the Day, here are The Peaces, another New York City band that owes its sound to 1960s pop. But where the Zombies of the Stratosphere were more influenced by 60s mod and psychedelia, The Peaces have a more "pure" pop sound that owes more to Beatles circa 1965 and other more classic-sounding contemporary power poppers like The Rubinoos, The Spongetones or The Red Button. The most notable characteristic of The Peaces are their harmonies, and nowhere are they more evident that in the opening track "Don't Take It For Granted" and its immediate followup, the piano-based "Endless Line", which come off as lost Association or Left Banke tracks with a bit more pep. "She Stands So Close to Me" jangles away, and just when you think it's all sweetness and harmony, they give us the somewhat acerbic "Portrait In Vanity", complete with guitar solo (but still somewhat sweet-sounding). The Holliesesque "Nobody Cares" is another highlight. All in all, it's a great disc for those who enjoy the kind of harmonic pop that you heard on the radio in the 60s. NYC's Zombies of the Stratosphere pretty much sound like you'd expect off their name: 60s-inspired pop and psychedelia. Although one might be tempted to think they're named after The Zombies and XTC's psychedelic alter ego The Dukes of Stratosphear, the name actually comes from a 50s sci-fi serial. Nevertheless, Rod Argent and Andy Partridge would still be proud as these Zombies have their sound down, along with a helping of The Kinks and The Small Faces. Opener "Thrush" wouldn't have sounded out of place on Odyssey & Oracle, while "Barber Street" and the title track nail the Ray Davies day-in-the-life-of-an-everyman narrative and sound. "Boy With The Shades" is a lushly orchestrated midtempo number that recalls The Left Banke, while "Decisions" rocks with abandon and "The Story of Your Life" has a great combination of jangle and music-hall stomp. The bottom line is that if it were 1969 and we were on Carnaby Street, these guys would be gods. Since it's 2007, they'll just have to settle for the admiration of discerning power poppers like you and I. It's news worthy of an exclamation mark, as John Hoskinson is set to release Pancho Fantastico, his followup to 2004's outstanding Miscellaneous Heathen, on June 12. If you're drawing a blank on his name, know that Heathen was released to universal acclaim, and no less than Uncut Magazine called it "The lost link between Rubber Soul and Emitt Rhodes." Had I compiled a 2004 list it probably would have made the top 10. Oh, and did I mention that Hoskinson is in Eugene Edwards' band, and vice-versa? Anyway, you don't have to take my hype for it, you can listen to the new album in its entirety streaming at JH's official site. (Click on "Listen to CD Tracks"). I've only had one listen so far, but it sounds like another winner. In some places, it reminds me of The Red Button. Best albums you never heard? I recommend you drop what you're doing right now and check out this great list of the "Best albums you've never heard" over at Bullz-Eye. There's a heavy power pop presence on the list, including the great Kontiki by Cotton Mather, as well as discs from The Argument, Fluid Ounces, Jason Falkner, Heap, The Merrymakers, and my favorite disc of 2003, Warren Zanes' Memory Girls. Also featured on the list is Marjorie Fair's Selp Help Serenade, which featured one of my favorite tracks from 2005, "Hold On To You". Of course, I'm sure most of you have heard at least a few of these discs. H/T: Rock and Roll Report. 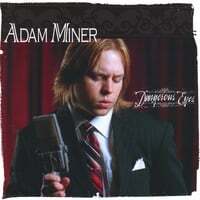 Going to make this one brief as I'm a bit strapped for time, but make sure you take a listen to Adam Miner's Dangerous Eyes. This Canadian singer-songwriter has fashioned a quality disc that ranges from classic power pop to Coldplay-on-steroids to your standard singer-songwriter fare. Standouts include the title track, which is a bit of Tal Bachman meets Simon Morel, "Shades of Blue", perhaps the most "power poppy" of the disc, "Fool", which inspired the Coldplay-on-steroids remark above, and "Rumors", which reminds me a bit of Cliff Hillis.